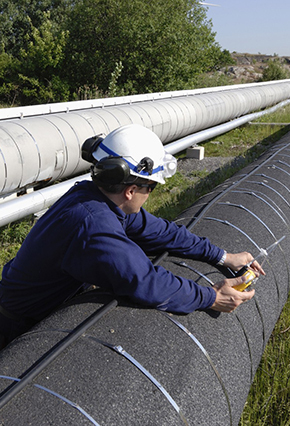 On December 19, the Pipeline and Hazardous Materials Safety Administration (PHMSA) issued an Interim Final Rule (IFR) adopting federal safety regulations and reporting requirements for underground natural gas storage facilities. The IFR is intended to implement Section 12 of the Protecting Our Infrastructure of Pipelines and Enhancing Safety Act (PIPES) of 2016, which requires that PHMSA adopt federal safety standards for such facilities. The IFR is effective January 18, 2017. Pointing to the recent failure at the Aliso Canyon underground natural gas storage facility, the PIPES Act mandate, and PHMSA’s determination that these facilities pose an immediate threat to public safety and the environment, PHMSA determined that a delay in adopting the RPs is impracticable and contrary to public interest. The IFR becomes effective January 18, 2017 and operators are expected to implement the new requirements no later than January 18, 2018, as described in new section 192.12. PHMSA invites comments on the IFR no later than February 17, 2017. API RP 1171, “Functional Integrity of Natural Gas Storage in Depleted Hydrocarbon Reservoirs and Aquifer Reservoirs, First edition, September 2015. The IFR also will require that operators of underground natural gas storage facilities file annual reports, obtain Operator Identification Numbers, and file incident reports and safety-related reports. The first annual report is required by July 18, 2017. API RP 1170 and API RP 1171 will be mandatory. To ensure enforceability of the RPs, operators must treat their recommendations as mandatory directives. Operators must modify their written procedures to include the operations, maintenance, and emergencies provisions of each RP. An operator may deviate from the RPs by providing a written technical and safety justification explaining why compliance with a provision is not practicable and necessary for the safety of a particular facility or piece of equipment. Such justifications must be reviewed by a subject matter expert and approved by a senior executive officer. The RPs will apply to intrastate storage facilities. States must update their safety regulations to include the provisions of the RPs. States also must ensure that the state authority responsible for overseeing the safety of underground natural gas storage facilities (if not the agency responsible for the safety of pipelines) has submitted a certification to PHMSA pursuant to §60105 of the Pipeline Safety Act. States may adopt additional or more stringent requirements, as long as they are consistent with federal requirements. Implementation required by January 18, 2018. No later than January 18, 2018, operators of existing interstate and intrastate storage facilities must implement the operations, maintenance, integrity demonstration and verification, monitoring, threat and hazard identification, assessment, remediation, site security, emergency response and preparedness, and recordkeeping requirements and recommendations of sections 9, 10, and 11 of API RP 1170 and sections 8, 9, 10, and 11 of RP 1171. Operators of storage facilities constructed after July 18, 2017 will be required to satisfy all of the requirements and recommendations of either API RP 1170 or API RP 1171, as applicable. PHMSA Administrator Marie Therese Dominguez has named Alan Mayberry as PHMSA’s new Associate Administrator for Pipeline Safety. Mr. Mayberry has been serving as Acting Associate Administrator since the departure of Jeff Weise, the previous Associate Administrator. PHMSA Rulemakings Update. The tables below summarize the status of PHMSA’s rulemakings as reported in the Department of Transportation’s (DOT) November Significant Rulemaking Report, and by the Office of Management and Budget’s (OMB) Office of Information and Regulatory Affairs (OIRA) in the Fall 2016 Unified Regulatory Agenda. Revisions are in bold. *Under Executive Order (EO) 12866, OMB reviews proposed significant rules to ensure they are consistent with applicable law, the President’s priorities, and the principles set forth in the EO, and to ensure the proposals do not conflict with another agency’s policies or actions. OMB also analyzes the cost-benefit analyses in support of the proposals. While the EO sets out deadlines for OMB evaluation, review periods are often extended. PHMSA issues guidance on identifying high consequence areas. On December 13, PHMSA issued an advisory bulletin providing guidance to gas transmission pipeline operators for improving identification of high consequence areas (HCA) under integrity management (IM) programs. Prompted by observations by PHMSA and the National Transportation Safety Board that operators have not identified HCAs consistently, PHMSA recommends that operators annually review and monitor class location information and data on a pipeline’s potential impact radius (PIR) to improve the accuracy of HCA determinations. Operators should have detailed and documented processes to monitor conditions near their pipelines, including the existence of “identified sites.” The advisory emphasizes several measures PHMSA recommends that operators implement to ensure that pipeline locational and mapping data is accurate and to account for data inaccuracies. PHMSA states that it will inspect operators’ approaches to assure that processes are adequate to identify all covered segments. PHMSA begins posting adequacy information about state excavation damage prevention law enforcement programs. PHMSA has begun posting information about its evaluations of state excavation damage prevention law enforcement programs. A July 2015 final rule established a process for (1) evaluating state excavation damage prevention law enforcement programs and (2) enforcing minimum federal damage prevention standards in states found to have inadequate enforcement. PHMSA has posted letters that were sent to eight states regarding the adequacy of their enforcement of damage prevention laws. Several states (Alaska, Colorado, Mississippi, Montana, and West Virginia) were notified that their damage prevention programs are inadequate. PHMSA appoints members to new pipeline safety Voluntary Information-Sharing System Working Group and holds first meeting. On December 15, the Secretary of Transportation, Anthony Foxx, announced the appointment of 24 members to the newly created pipeline safety Voluntary Information-Sharing System (VIS) Working Group. Formed pursuant to section 10 of the PIPES Act to encourage collaborative efforts to improve analysis of integrity risk, the VIS Working Group will consider and make recommendations on the need for information-sharing systems; opportunities to share dig verification data between operators and in-line inspection vendors; how to encourage the exchange of inspection information and the development of advanced pipeline inspection technologies; protecting sensitive or proprietary data; and barriers to sharing information. The VIS Working Group convened its first public meeting on December 19, during which the group discussed its charter and goals, planning, and information-sharing systems that have been developed and used by other federal agencies. The VIS Working Group expects to hold four public meetings a year, with the next meeting expected to be convened in February or March 2017. DOT Inspector General announces audit of PHMSA’s workforce management. On December 14, DOT’s Office of Inspector General announced an audit of PHMSA’s workforce management. The audit, required under Section 9 of the PIPES Act, will review geographic allocation plans, hiring challenges, expected retirement, recruitment and retention strategies, and whether previous periods of macroeconomic and pipeline industry conditions affected the agency’s ability to fill vacancies and if special hiring authorities could have alleviated any difficulties. The PIPES Act requires a report to Congress by June 2017. Representative Mick Mulvaney selected as next OMB director. President-elect Donald Trump has selected Rep. Mick Mulvaney (R.-S.C.) to be the next director of OMB. Rep. Mulvaney is a fiscal conservative and a founding member of the House Freedom Caucus. He is expected to influence how OIRA will review significant proposed and final regulations, including those of PHMSA, during the next Administration. The Florida Public Service Commission has proposed a number of amendments to its gas pipeline safety regulations including provisions to adopt the 2016 version of federal standards pertaining to reporting requirements, safety standards, and drug and alcohol reporting standards, and to adopt other clarifying amendments pertaining to, among other things, visual inspections, maximum allowable operating pressure, corrosion, valves, welder qualifications, leak detection surveys, and inspections and monitoring. Comments are due January 2, 2017. On December 15, the Texas Railroad Commission (TRC) announced that, effective immediately, the agency’s Oversight and Safety Division will initiate Notification of Violation (NOV) and Notification of Enforcement (NOE) letters to pipeline operators simultaneously. If no positive action is taken within the time provided to comply, penalties will increase by 10 percent and enhancements may be applied every 30 days. This process does not include a mechanism for reducing or discounting penalties because reductions would have been considered before the notifications. If there is no response 90 days after issuance of the NOV and NOE, the enforcement docket will be referred to the Enforcement Section of the Office of General Counsel and no further negotiations will occur. The announcement states that the TRC and the Oversight and Safety Division intend to enforce safety rules and standards while increasing awareness and compliance.